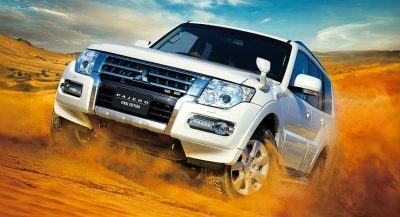 Tune into a NASCAR race (or better yet, watch one live in person) and you’ll see sports/muscle cars racing around ovals and road courses: Ford Mustangs, Chevy Camaros, even Dodge Challengers. 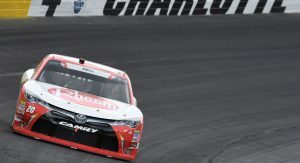 Yet Toyota’s been represented in the second-tier stock-car championship by the Camry. 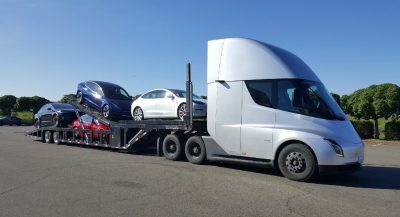 But according to the latest reports, that’s about to change. 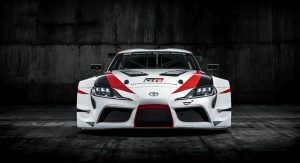 According to reports from the SportsBusiness Journal and Car and Driver, Toyota’s preparing to replace the Camry in the Xfinity series with the new Supra. Or at least, a silhouette racer made to look like the Supra. 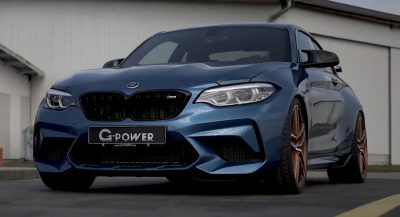 The Japanese automaker has been collaborating on developing a new Supra sports car with BMW, which is building its new Z4 on the same architecture. Toyota most recently previewed the Supra in concept form (pictured) as the GR Supra Racing Concept, and throwing it into NASCAR would certainly fulfill the “racing” part – at least, for North American audiences. 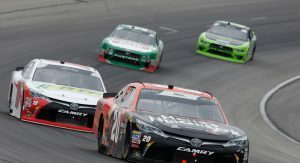 Though it remains a top seller for Toyota, sedans like the Camry have been losing ground to crossover SUVs, with passenger cars increasingly polarizing towards two-door sports cars like the forthcoming Supra and Ford Mustang – which Ford runs in the Xfinity Series, and is soon to introduce to the top-tier Cup as well. 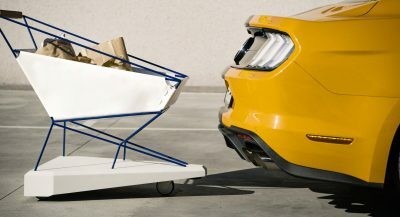 Chevy’s doing the same with the Camaro, which recently replaced the discontinued SS as the Bowtie brand’s stock racer. 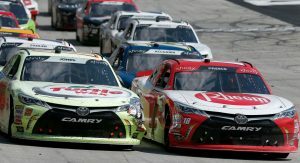 If the reports about Toyota prove accurate, it could follow the same route into the Cup as well, where the Camry continues to serve. 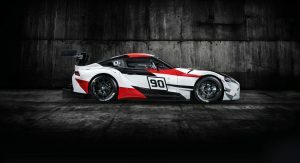 Beyond NASCAR, we wouldn’t be surprised to see racing versions of the new Supra feature in other motor racing disciplines like Japan’s Super GT championship and other GT series like the FIA World Endurance Championship (including Le Mans), the Blancpain Endurance/Sprint series, and the IMSA’s United SportsCar Championship. 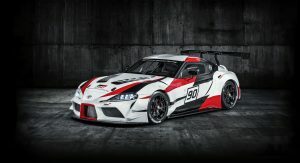 Previous versions of the Supra have competed in many of the same, and Toyota could prove keen to rekindle the model’s racing acumen. For GTE version (ones that can compete in WEC/Le Mans) it depends whether Toyota is on board for next gen LMP regulations for 2020-2021. The so called LMGTP that combines LMP1 with more road car features (Imagine post GT1 prototype like 911 GT1-98, CLM and GT-One). 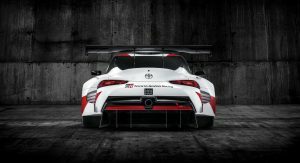 If they don’t join, they are likely to build Supra GTE instead. 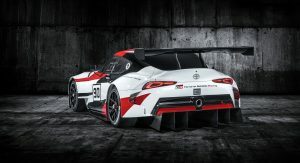 For Blancpain that runs GT3 cars, right now Lexus already run RC F GT3 that are quite successful, it would be hard for them to have 2 cars running in the same category because now SRO make it mandatory for homologated GT3 cars to be produced 20 annually. Considering the overall shape of the current racers, it’s gonna look like dookie. Use the model they had for the Camry and slap some Supra stickers on it. Problem solved. It’s Nascar, they just gonna slap stickers with Supra fascia and rear end to a generic Nascar design. I’m not exactly 100% okay with you cheapening the Supra brand. Use the 86 instead. It’s not like you’re doing much with it anyway. It won’t. And that’s my problem with this.